Friday, March 29th | Best Deals of the Year! We specialize in outdoor power equipment sales, parts, and service since 1981. We have one of the largest in-stock inventory in the area. At Bland's Lawn Equipment in Spring, Texas our goal is to help you get the job done with the best equipment possible for every application. If you want to invest in your own tools, we offer a full spectrum of lawn mowers, lawn mower parts, and other equipment for sale as part of our everyday stock. We carry only the best mowers and equipment and then help you manage and maintain it with quality lawn mower parts once it's in your hands. Whether you need lawn equipment for commercial or residential applications, we have just the ticket for any job. 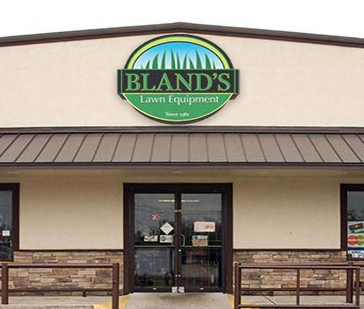 Bland's Lawn Equipment offers a full spectrum of lawn and landscaping equipment to all our clients. Check out our new equipment including STIHL, Scag, Honda Power Equipment, ECHO, EGO POWER+, Exmark, Toro, Encore Power Equipment, Generac, Kawasaki Engines, Honda Engines, Briggs & Stratton, and Kohler Engines to see what we have. Our competitive prices and attention to detail will keep you coming back again and again for all your lawn care needs. From equipment to lawn mower parts, we're here to serve you. At Bland's, we are built on service!